a new chandelier in the living room. Installation of the piece is a major step in realizing First Lady Karen Kasich’s vision to restore the Residence to its 1920s splendor. 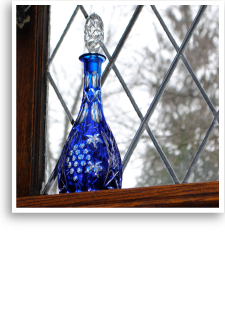 The Jacobean Revival inspired piece was made by Rose Iron Works, a Cleveland firm that has operated under the leadership of three generations of the Rose family since 1903. Specially designed for the Residence, the chandelier’s design reflects architectural elements from the living room, such as the quatrefoil ceiling decoration and the fleur-de-lis wall sconces. 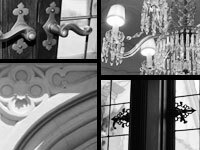 Residence staff sought guidance from restoration specialists at the Ohio Historical Society to determine the proper style of lighting fixtures for the house. The basic design of the chandelier was inspired by an illustration from the Cincinnati Artistic Wrought Iron Works Catalog from the 1920s, which OHS staff suggested as an appropriate fixture for the room.  Other design elements were drawn from plans in the Rose Iron Works extensive company archive to create a piece that reflects the historic nature of the Residence. 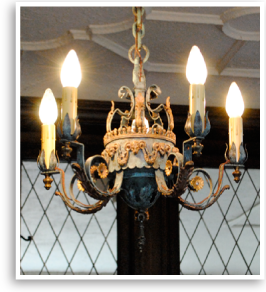 The chandelier is part of an ongoing commitment to highlight Ohio art, industry and craftsmanship in the Residence. An Ohio made coffee table is now on display in the Governor's Study! The table, made from reclaimed elm that was once part of a Bucyrus barn, was designed especially for the Residence. Central Ohio artisan David Tolford incorporated details into the piece that reflect architectural details of the Residence such as the lattice work lower shelf that was inspired by the leaded glass windows on the main floor of the house. 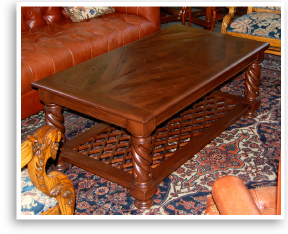 The table's turned legs are typical of Jacobean Revival style furniture. Similar legs can be found on several other pieces throughout the house. The commission of this table is part of the Friends continuing mission to make the Residence a showcase of Ohio art, industry and craftsmanship. ​The Governor’s Residence has added more Ohio Glass to its collection! Libbey Glass of Toledo, Ohio produced this basket and decanter between 1890 and 1920. Colored overlay was applied to clear glass and patterns were cut into the colored glass exposing the clear glass below. Libbey has been operating in Ohio since 1888 when the New England Glass Company moved to Northwestern Ohio to take advantage of the area’s natural gas resources and large deposits of high quality sand. 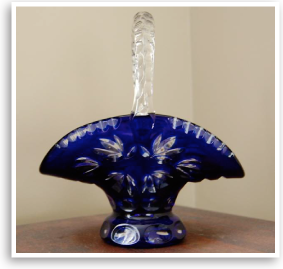 Libbey was one of several Ohio companies that produced art glass in the late nineteenth and early twentieth centuries and acquisition of these pieces are part of an ongoing effort to showcase this exceptional piece of Ohio’s industrial history. 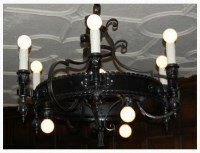 ​A beautiful antique chandelier was purchased for the Governor's Study. Its design compliments the 1920's Jacobean-revival style of the home was crafted by the Cincinnati Artistic Wrought Iron Works. 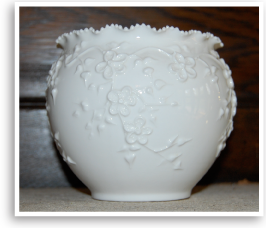 ​The Friends acquired a piece Lotus Ware by Knowles, Taylor and Knowles, a pottery that operated in East Liverpool, Ohio from 1870 until 1929.